The House of Representatives in Washington passed the bipartisan Food Safety Enhancement Act of 2009, H. R. 2749 on July 29. The bill has now been sent to the Senate where is has been referred to the Committee on Health Education, Labor and Pensions. The committee will probably not take any action on this bill until they reconvene after their August recess. There are two groups supporting this bill, but there are other groups who are opposing it. The small farmers are divided on this bill and both sides are lobbying for their positions. The bill is basically a reaction to several major food product recalls and incidents of illnesses caused by tainted food that have consumer groups demanding greater oversight of our food production and supply. There is also a group of small farmers and organic food advocates who believe that greater regulation of food processing facilities and larger farms will give them an economic and quality perception advantage over their competitors. Advocates for the bill are concerned that as the chain from farmer to consumer gets longer, there are more chances for accidental or intentional health threats to get into the system. The United States now imports food from more than 150 countries through more than 300 ports. On average, food travels approximately 1,500 miles from the farm to retail stores in Connecticut. People are eating in traditional restaurants, fast food take-out restaurants or purchasing both hot and cold meals ready to eat at grocery stores. In all of these situations, the ultimate consumer who eats the food has no control over its handling, storage or preparation. They have no opportunity to decide whether or not a particular item is safe to eat until it is placed in front of them, ready to eat. Opposing the bill are small farmers who believe the record keeping requirements and unannounced inspections authorized in the bill will be so onerous that many of them will shut down their operations rather than try to comply. They are concerned that the time required to prepare and file the required records will leave them without enough time to properly manage and operate their farms. They can cite instances where a farmer filed an application for a local permit to pump water out of a pond to irrigate his crops, but by the time all the required hearings were held and the permit was finally issued the crop was lost to the drought, the growing season was over and the pond was covered with ice. They fear the same bureaucratic delays will interfere with their ability to do what is needed when it is needed to produce their crops, whether they are rasing plants or livestock. As with many laws and regulations, the real problem will not be the letter of the law, but the people who are administering it on a day to day basis. If these people recognize the urgency of making a decision in time that the farmer can look after his crop the law may be good, but if the inspectors and those reviewing their reports do not recognize the urgency of making decisions, crops will be lost because the farmer will not be allowed to do what should properly be done at the time. Most of the food safety advocates are saying the regulatory authorities will use a “light touch” in implementing the regulations as they apply to small farms, but larger farm operations would potentially face greater oversight. The White House and the Congressional leadership have promised that they will have a major food safety bill before the end of the year. The Food Safety Enhancement Act of 2009 is new enoughthat the northeastern Granges have not had time to take any position on it. 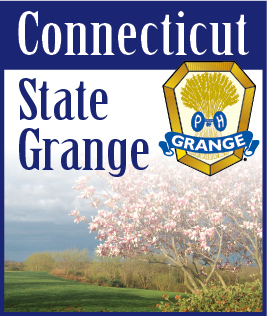 The National Grange Legislative Department is spending much of their time on preparing to defend the Grange’s name and logo as trademarks. This bill should be on the agenda for our Northeast Grange Legislative and Agriculture meeting September 27. I would appreciate thoughts and comments on the proposed Food Safety Enhancement Act in time for this meeting.